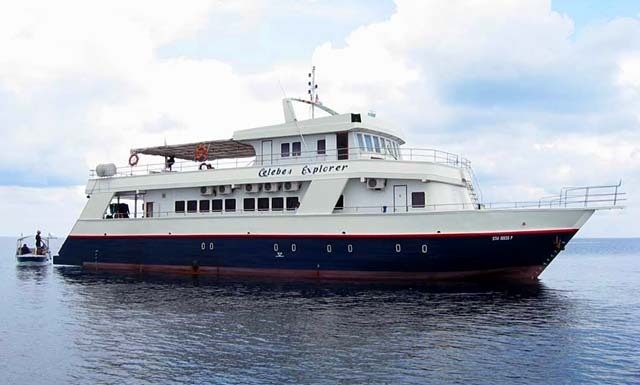 Built in 2001, the MV Celebes Explorer is the only liveaboard going diving at Sipadan. With a capacity of 16 divers, this is a luxury scuba diving vessel with a lot of space. 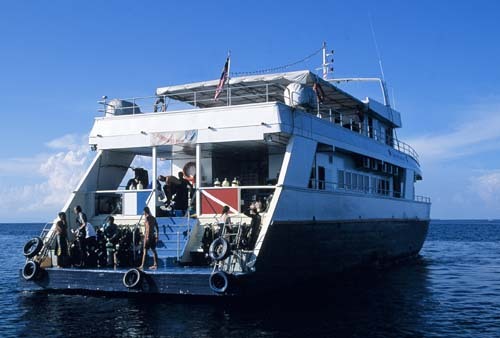 The diving is daily and year round at Sipadan island along with Mabul and Kapalai. 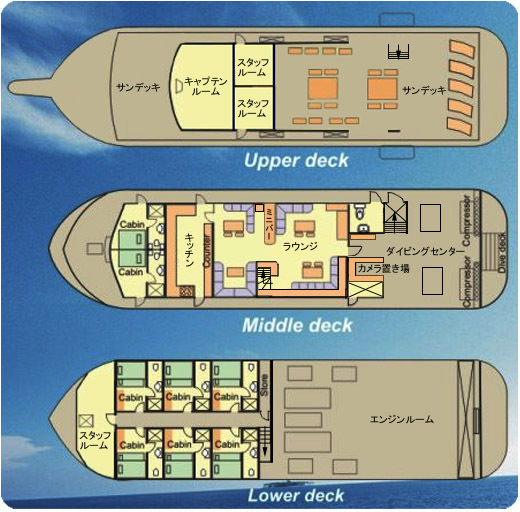 There are two cabin options with twin, double, triple sharing basis. The 6 units of Double/Twin bunk bed cabins have A/C and private bathroom. The 2 units of Queen bed cabins have A/C and private bathroom. Cabins are cleaned on a daily basis. Size: 29m length, 7.2m beam, 2m draft. 2 x 500 hp Cummin engines. 1 x diving boat and 1 x transfer boat. 12 litre aluminium tanks with international fittings and DIN. Full Safety equipment including GPS, Radio, Sonar, Hummingbird fishfinder, bilge, sounder, mobile phone, etc. Package includes: Round Trip Tawau airport / Celebes Explorer transfer, Twin/Double share, dive guide, 12 litre tanks, weights & weight belt, 3-5 dives per day except for arrival & departure day, meals, tea, coffee, snacks. Package excludes: Equipment rental, alcohol & canned/bottled drinks. Sipadan Marine Park Entry Fees/Semporna Jetty Fees, Nitrox, diving insurance. Please book in advance for PADI Dive Courses.